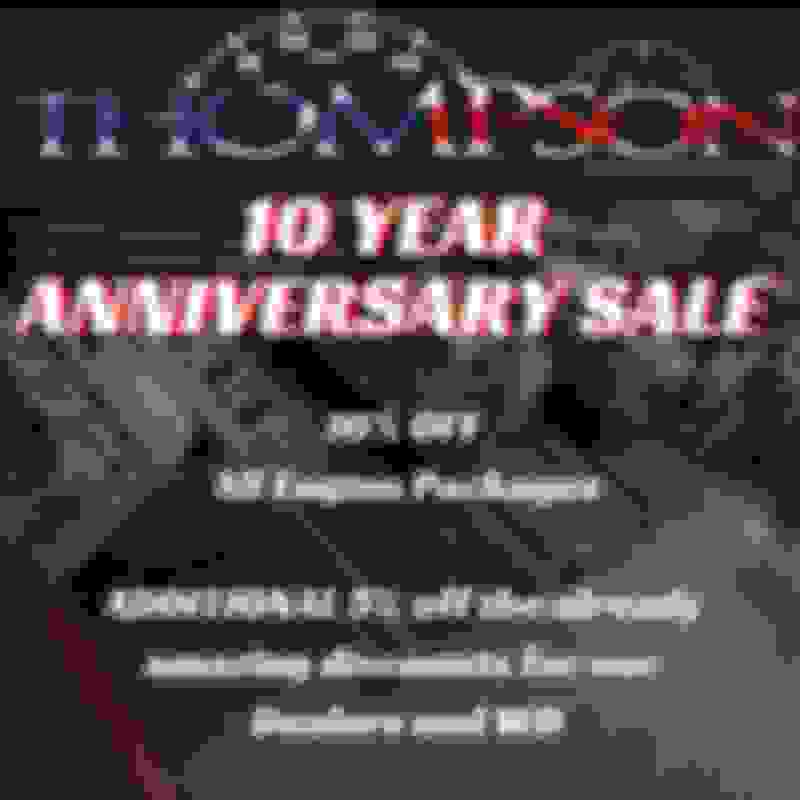 Thompson Motorsports 10 YEAR ANNIVERSARY!!! We want to thank everyone for the amazing success we have had because of YOU, Our loyal customers. 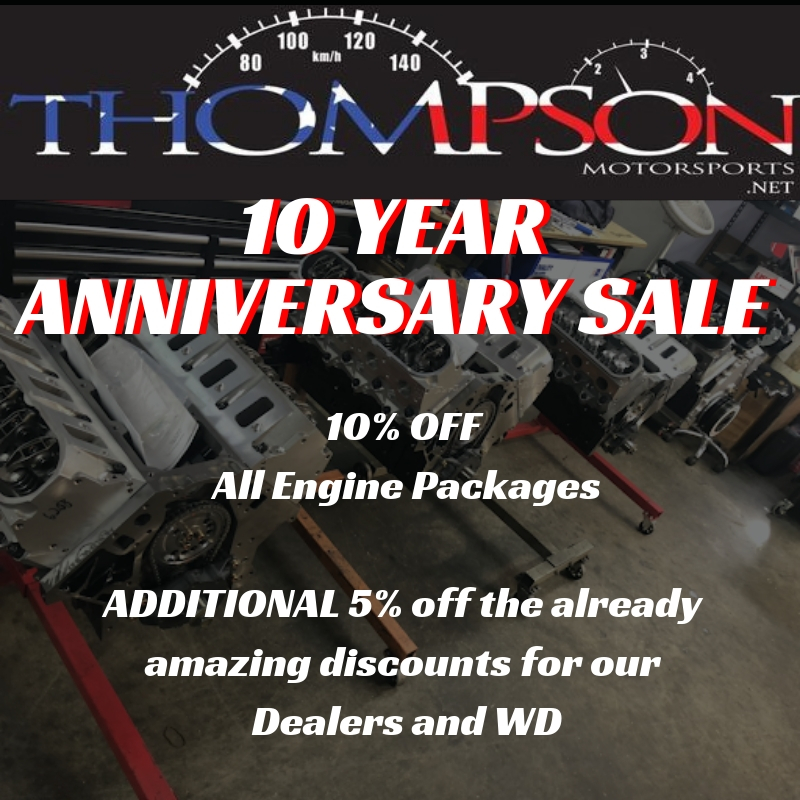 We are offering 10% off all Short and long block engine packages. For our dealers an ADDITIONAL 5% off of your all ready amazing discounts for our Dealer and WD's. We can thank of no better way to thank all of you who have made the last decade possible. For those of you looking become a dealer with us, Here is your chance to get started. All purchases will go towards your buy in ! So why not get Dealer pricing while becoming a Dealer !? Give us a call or email and ask us for details. Last edited by thompson; 12-12-2018 at 09:54 AM. when is this sale in effect? This sale is for the month of December. We are CLOSED next week. Call us this week to get in on this amazing deal. Forged piston and rod 5.7 (800HP rated) $2609. The list goes on. Call today 972-853-2450. Well, looks like I missed this. Good sale guys, hope it was a big success! The sale was great. Having a 10 year anniversary sale is something that is hard to believe we were blessed with doing. I cant wait for the 20 and 30 year anniversaries. Let us know if we can help with anything at all!! Ls1 tech member engine packages!